7.6 m x 30.5 cm diameter ducting for directing airflow to / from Vortex Air mover or Defend-Air HEPA 500. 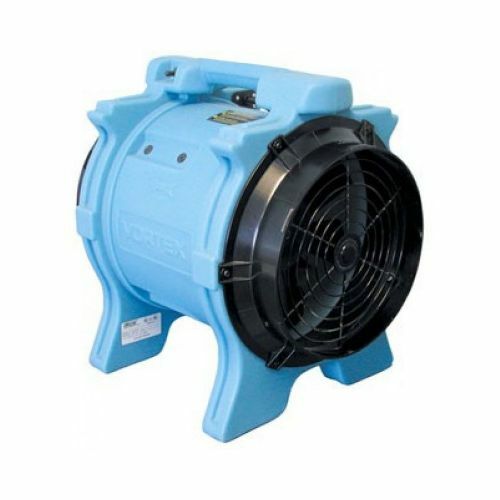 Suitable for both positive and negative air pressure installations. Connect one or more sections of ducting to the vortex air mover for powerful ventilation. Packed into convenient carry case. 7.6 metres of PVC flame retardent vinyl semi-rigid ducting constructed with spring steel wire helix to resist collapse under negative pressure. Packed into convenient carry case with sturdy handle to protect the ducting during transport and storage.